Outdoor living spaces include a large screened in porch, deck & the charming front porch MLS#21585745. 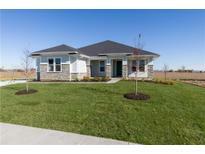 Keller Williams Indpls Metro N.
Come check out this amazing floor plan today! MLS#21585187. ERA Real Estate Links. HVAC just 1 year old and roof is less than a year. MLS#21584511. 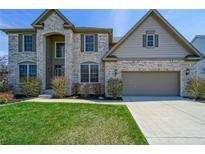 Keller Williams Indy Metro S.
Come check out this stunning home! MLS#21584618. ERA Real Estate Links. Tack/Saddle Barn and Pole Barn on 5.5 acres. MLS#21582585. CENTURY 21 Scheetz. The Willows - Covered Lanai, 3c garage, Lower Level w/Recreation room, home theater area and full bath rough-in. MLS#21575353. ERA Real Estate Links. 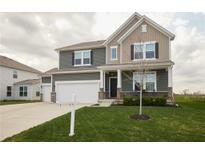 Come check out this amazing floor plan today! Zionsville school district! MLS#21575288. ERA Real Estate Links. Come check out this home because it won’t last long! MLS#21575331. ERA Real Estate Links. Stonegate - Other features included an attached potting shed, privacy fence, full irrigation system & numerous built-ins throughout the home. MLS#21574472. F.C. Tucker Company. Ideal for entertaining or just relaxing! MLS#21569758. F.C. Tucker Company. Finished full basement for additional entertaining! MLS#21570999. Drees Homes. Cheval De Selle - 3 other beds up with 2 additional full baths. MLS#21566361. CENTURY 21 Scheetz. Zionsville Schools, less than 10 minutes from Zionsville Village. MLS#21562386. ERA Real Estate Links. 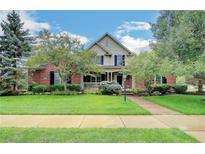 Village Of Zionsville - You won’t be disappointed w/condition of this jewel in the village- walk to shopping, dining, park & trails & 4-star Zville Schools. MLS#21558746. CENTURY 21 Scheetz. 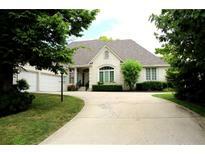 Close to interstate, shopping, and more. 5-star Zionsville school system. MLS#21557987. Encore Sotheby's International. Comm pool, tennis & walking trails make this a “can’t miss”! MLS#21554454. ERA Real Estate Links. Hunt Country Preserve - Gorgeous landscaping w/ outdoor kitchen & multiple entertaining spaces! MLS#21548067. F.C. Tucker Company. 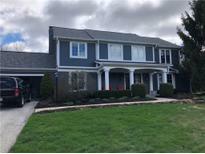 Oak Ridge Estates - MAJOR UPDATES: Main floor hardwoods, granite counters, stainless steel appliances, updated baths, new roof ’11, 2 new HVACs ’16, new carpeting ’17, new hot water heater ‘15 and fresh interior paint! MLS#21550682. Keller Williams Zionsville. This home is hard to describe, You really need to see it! MLS#21526904. Keller Williams Zionsville. Basement includes second entertaining kitchen in Bonus Room. MLS#21525109. CENTURY 21 Scheetz. No matter the season there has never been a better opportunity to continue the next chapter of your life at 20 S. 6th Street. Come see the possibilities today! MLS#21495025. F.C. Tucker Company.